Can we – I say, can we lay eggs, or what! 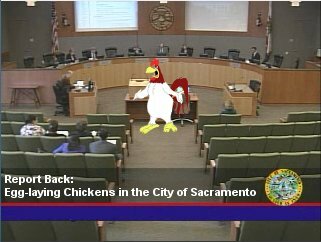 The City’s Law & Legislation Committee will take up the egg-laying chicken issue tomorrow at its 3pm meeting at City Hall. The issue was tabled back in November 2010. Foghorn Leghorn photo by lacunacoil4 at deviantART.